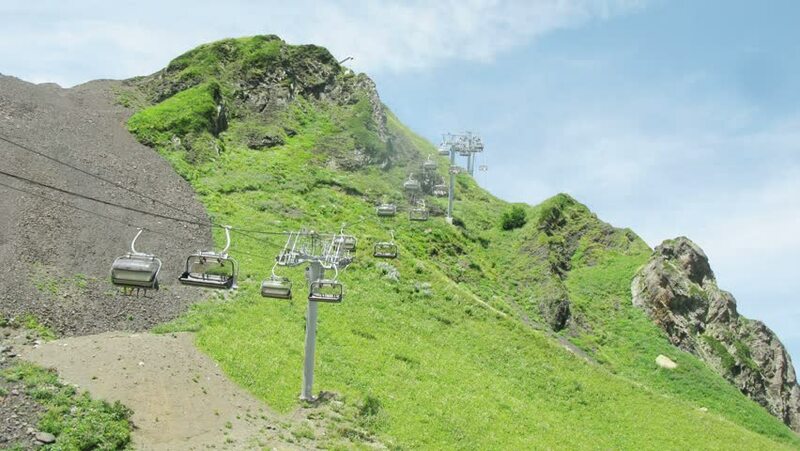 Funicular moves in the mountains at sunny summer day. Time lapse. hd00:12Hikers in the mountains. Tourists on a mountain trail. Polish: Karkonosze, Czech: Krkonose. Mountains on the border of Poland and Czech Republic.